Hotel Villa "Nikoletta" Bukovel is a modern Ukrainian ski resort Bukovel, and would be the best choice for your rest and work! Perfect service, perfect location and modern technology will create unforgettable memories of your stay in Bukovel! Built in 2009 and recently renovated, the hotel meets the highest standards of hospitality. Its situation on the driveway Bukovel provides free entrance and relaxed holiday atmosphere. Scenery around the hotel is breathtaking, an oasis of peace, but at the same time close to the resort Bukovel. It is a few minutes from the main ski lifts, making our villa - the hotel is very convenient to your family vacation in Bukovel. Unique architecture and attention to detail combined with outstanding comfort rooms completes the full picture of this mesta.Nashim guests we offer 40 comfortable rooms that are perfect for a romantic holiday and business trips. Interiors in the spirit of local color and national Ukrainian Romanian classics made by modern hotel standards. Three junior suites and two suites, each of which is beautifully decorated in a modern style, where you can really feel comfortable. There are rooms both with one king size bed and a twin, twin. All rooms are equipped with bathroom with shower. All the accommodation we offer you wireless wi-fi internet access, air conditioning, digital TV. In certain categories of the rooms have a refrigerator. For your convenience, allocated parking for 30 cars on site «Nikoletta» Bukovel. We offer you a wide range of additional services, corporate events including perfect conference service with modern technical equipment. Our conference room will undertake your business events and special events at the highest level! Our cozy restaurant and a summer terrace open to the guests the variety of mouthwatering dishes of Ukrainian and European cuisine. A team of hotel «Nikoletta» Bukovel care about the comfort and harmony of your holiday! The main advantage of the hotel villas «Nikoletta» - proximity to downtown and Bukovelya best slopes and lifts, allowing you to visit all the descents and all Bukovel. In the neighborhood convenient transportation. For example, only 5 minutes drive to the center takes Bukovelya. 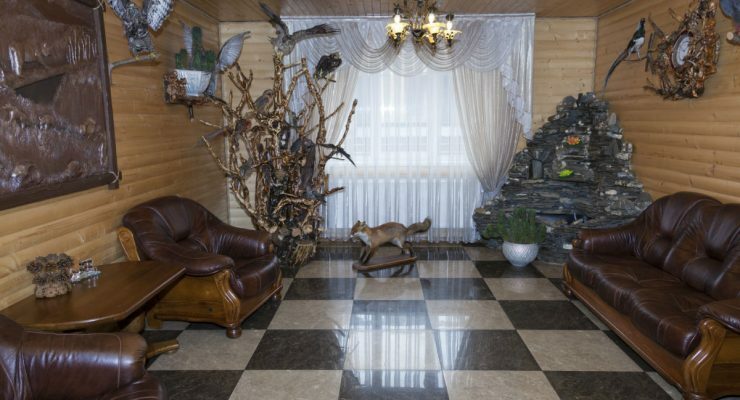 We have created the perfect place to stay in the Ukrainian Carpathians. Villa hotel «Nikoletta» - is a kind of island, retains the unique spirit of the Romanian and Ukrainian hospitality, where you are always welcome. Welcome to the Hotel «Nikoletta» in Bukovel!